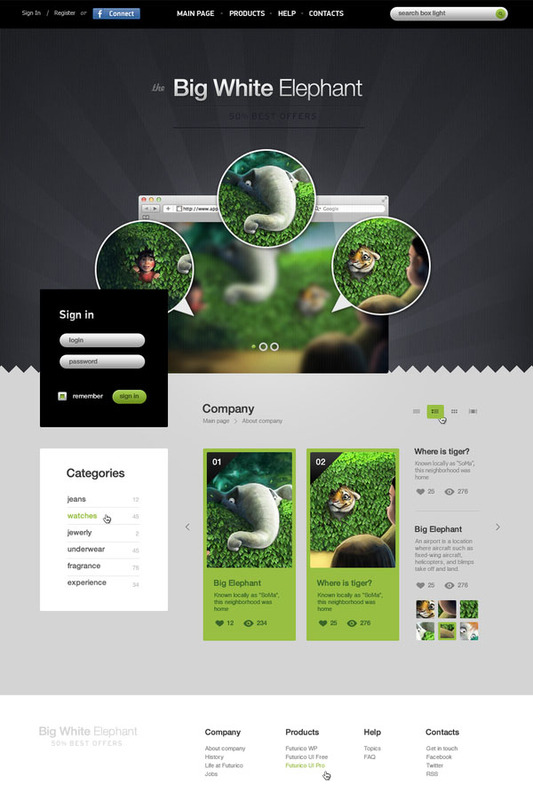 It contains more than 200 web design elements that can be used in any project no matter the style or the concept. The pack contains a set of elements added in one extraordinary collection and the good thing is that you can use them for any design or application. 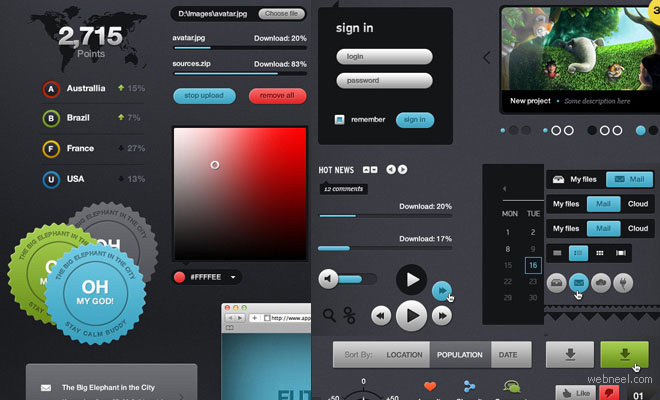 Futurico UI Pro will be a great chance for both beginner and professional web designers topractice their skills to work with every element from the set. This will help you build your own sets of design elements in the future. Please note that the font (Helvetica) used in this pack, won’t be available in the pack because we don’t have copyrights to use or sell this font.